Scotia’s Cape Breton Highlands National Park offers scenery so breathtaking, you might just have to stop and sit down. My family and I were hiking in Cape Breton Highlands National Park, NS, when I did something uncharacteristic. I stopped, sank onto a bench, and stared out toward the Atlantic Ocean. In a busy, get-up-and-go world, the scenery had stopped me in my tracks. We were hiking Middle Head Trail, a century-old former carriage road. 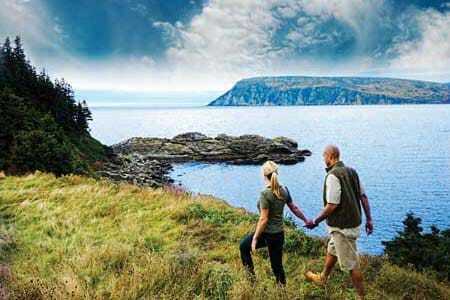 This gem of a trail starts at the iconic Keltic Lodge Resort in Ingonish and follows a long, narrow peninsula that separates two ocean bays; it ends on headland cliffs that overlook the Atlantic, Cape Smokey and Ingonish Island. The raw beauty is hypnotic. It’s little wonder that hiking is one of the most popular activities for visitors to Cape Breton Highlands National Park. The 950-square-kilometre park, home to the famous Cabot Trail, can take your breath away with its vistas of deeply cut river canyons, soaring highlands, and sweeping seacoasts. 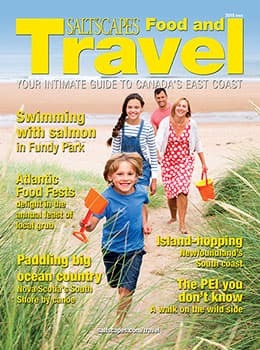 The park’s hiking trials—they range from easy strolls to challenging climbs—provide panoramic views and intimate opportunities to explore the beauty of northern Cape Breton Island; you can go on your own or have a park interpreter offer information about the Park’s wildlife, plants and history. “We consider hiking to be our top offer here at the park,” says Mariève Therriault, the park’s product development officer. “Trails are one of the best ways to experience the park.” She notes that the majority of visitors come to take advantage of the trails; there are 26 to choose from. 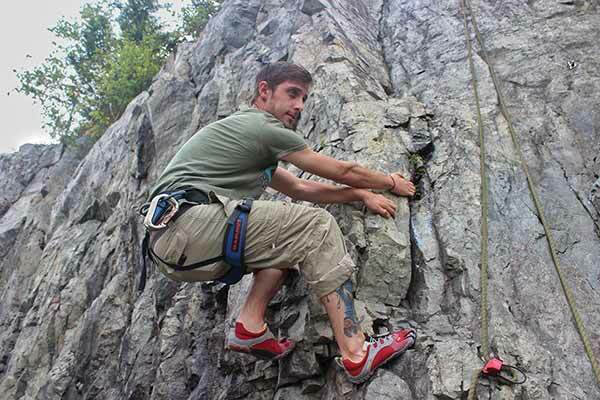 We asked Therriault to suggest three popular choices for hikers. 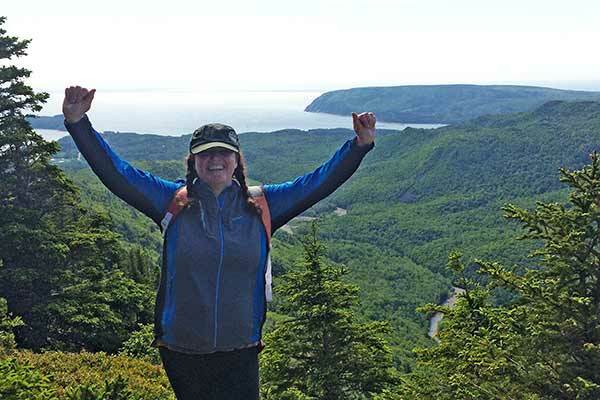 “The Skyline is our signature trail, and our most popular—accessible for all, because the car climbs the mountain for you,” she says of this hike, referring to a dramatic headland overlooking the Gulf of St. Lawrence. “Once you are parked, you have an easy, flat trail all the way to the end, and the view is simply breathtaking.” En route, hikers may see moose and bald eagles. No matter which trail you choose, pack a picnic. Sit and listen to waves serenading you. Feel the peace wash over your soul. Above all: don’t rush the experience. The park has hiking trails that range from simple to challenging—but the view from the peak is often its own reward. 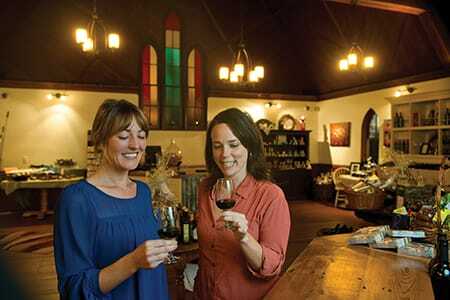 Vineyard tours, craft beer, even rum tastings served in the 18th century Fortress of Louisbourg National Historic Site—this is one road trip adventure you won’t want to miss.